Submitted by mahoney on Tue, 03/10/2015 - 6:23pm. Original Office Depot and Office Max files were submitted by jacksonalan on 07/24/2008. 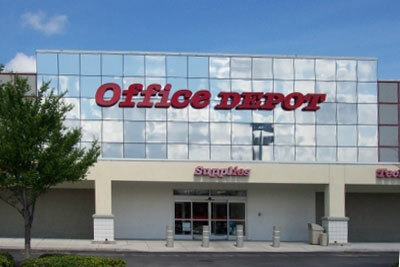 Office Depot and Office are now One company. As a result, I updated and combined the two files into one file. Combined file submitted and maintained by mahoney 3/10/15. Deleted locations: UT(3),VA(7),WA(12),WI(10),WV(0) and WY(2).Added 1 location in VA. Deleted locations PA(11),RI(1),SC(4),SD((2),TN(7) and TX(39). Decrease of 64 locations. Deleted locations: NM (3),NV (8), NY (13), OH (11), OK (1) and OR (3). Deleted locations: NC 11, ND 0, NE 5 and NJ 7. Deleted locations. MN (-9), MO (-11), MS (-1) and MT (-2). Deleted locations, KS(6),KY(5) and LA(4). Added 1 new location in Monroe,LA. Added 1 location in Atlanta,GA. Deleted locations. GA(8), HI(2), ID(1), IL(20) and IN(6). Added 1 location in Colorado Springs,CO. Updated the following states with a decrease of 42 locations. AK(1),AL(3),AR(1),AZ(2) and CA(35). Corrected the 5 unusable records.